Snacking is a practice done by many. Some people eat out of boredom. Others snack to break up the lull of a long day at the office. Still, more have a midday snack right before hitting the gym or their home workout. 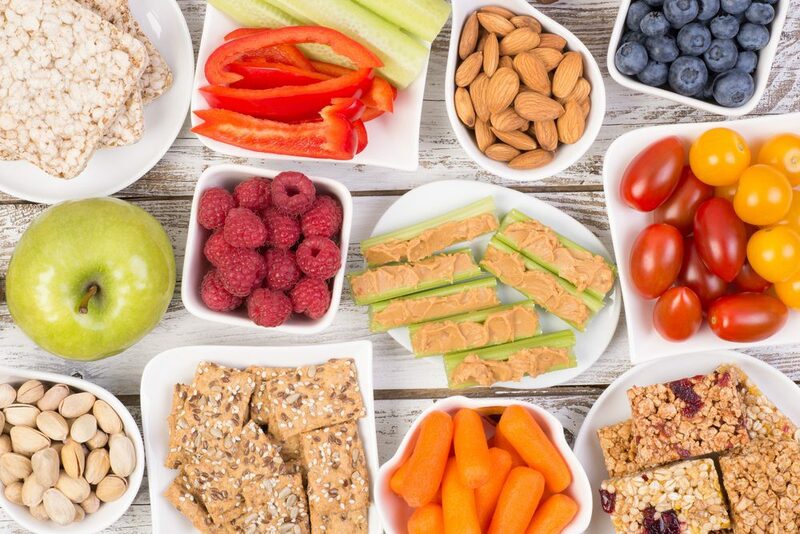 Choosing snacks that are high in protein benefit the body with nutrients that last longer than filling up with carb type snacks. Which snacks top the protein snack list? So many good things could be considered, although some are not as protein-packed as you would think. How do a few of these stacks up? Hummus – Believe it or not hummus is about 2g of protein for a serving. Not the big win you might have thought. Eggs – Hard boiled eggs are a good snack, and people have them all the time. 1 egg sits at 6g of protein. Not bad for 1 egg. Almonds – A handful of about 20 almonds is a good choice of with 6g of protein. That is an easy kind of snack to have with you. Very handy in your desk or backpack or briefcase. Peanut Butter – 2 tablespoons of creamy peanut butter with celery or carrots gets you a bit higher at 7g of protein.Not a bad idea to have a jar around if you can withstand the temptation to have more! String Cheese – This is the bigger surprise. If you can have dairy, you may be able to find variations of string cheese that have up to 8g of protein per piece. Always check the nutritional information before you make your purchases. Changing up your good protein snack each day will make it less likely that you grab a low nutrient or high carb choice. Sure they might be yummy, that doesn’t mean that they will benefit you in the same way. You Are Here: Home » Blog » Are You Packing Your Snack with a Protein Punch?